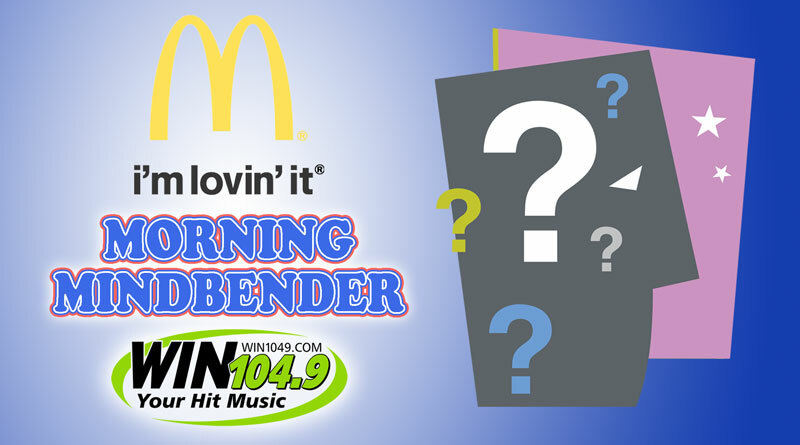 Put your thinking cap on and Win with the McDonald’s Morning Mindbender, weekday mornings at 7:35. We’ll ask you a fun trivia question. Be the first person with the correct answer at 812-376-4779 and win! Good luck, from McDonald’s and Win 104.9!